Oddities and profundities from Fitz! 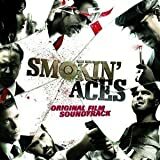 Back in 2006, the movie Smokin’ Aces introduced us to a world of very unique assassins. In it, wanna-be mobster and magician Buddy “Aces” Israel (Jeremy Piven) decides he can run his own mob, which doesn’t sit well with his former mob ties. They put a million dollar contract on “Aces”, who squeals to the FBI to get their protection. Every hit man or woman willing to take the contract shows up at the casino in Lake Tahoe where the FBI has “Aces” for safekeeping, which causes immediate carnage. I’ll be the first to admit that I didn’t like the original, even with the amazing cast. Ryan Reynolds, Ray Liotta, Wayne Newton, Piven, Ben Affleck, Peter Berg, Andy Garcia, Alicia Keys, Chris Pine… the list goes on. But I found the story to be a total mess even with all the unique characters. 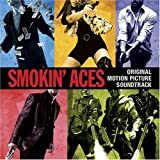 Now in 2010, we have Smokin’ Aces 2: Assassin’s Ball. This time, I thought there was a framework and a story I could wrap my head around. Walter Weed (Tom Berenger) is a mid-level FBI analyst nearing retirement who suddenly has a three million dollar contract on his life. When the FBI gets wind of the contract, they put him under protective custody while they try to figure out why this guy is the target. There were a few familiar actors, such as Tommy Flanagan as hit man Lazlo Soot, Ernie Hudson as FBI agent Anthony Vejar, and Vinnie Jones as assassin Finbar McTeague. But I was largely unfamiliar with the cast. That didn’t stop me from enjoying this intriguing movie. Where the first film failed to capture my interest with its frenetic action, Smokin’ Aces 2 managed to present a unique set of characters while keeping the plot and story relatively linear with a satsifying ending. The bizarre array of assassins, each with his or her own unique signature traits. Lazlo Soot with his penchant for taking molds of his victims’ faces so he can later use them as masks. Finbar McTeague with his love of power tools and torture techniques. The beautiful and deadly Ariella Martinez (Martha Higareda) with her knowledge of poisons. And the family of crazies who strap bombs onto midget clowns fired from a cannon… Did I mention they were crazy? When you add the great story about Weed and the detailed underground vault in Chicago where the FBI team attempts to keep him safe, there are many levels to this movie to keep you entertained. As the team escorts Weed into the vault, I couldn’t help but think of the many episodes of Cities of the Underworld where they explore hidden realms beneath the ground. The gun battle in the jazz club was also more realistic than many others I’ve seen in other films. Real-life gun battles are often brutish, short, and bloody events. And when you have as many guns being fired as were in the club, things get messy quickly. The DVD includes many interesting extras in addition to the rated and unrated versions of the film. Most of the available deleted scenes found their way into the unrated version but the gag reel was less than exciting. A few laughs, but not much more. “Behind the Scenes with Joe Carnahan” allows executive producer Joe Carnahan, producer Mike Elliott, writers Olatunde Osunsanmi and Olumide Odebunmi, and director P.J. Pesce to talk about the world of Smokin’ Aces and some of their thoughts about the film. “Confessions of an Assassin” lets director Pesce and much of the cast explore how the movie was made – blood, guts, bullets, and all. “Ready, Aim, Fire: The Weapons of Smokin’ Aces 2” introduces you to the armorer who provided the 20+ guns and other weapons in the film. “Cue the Clown” – easily my favorite feature on the DVD – walks you through the process of launching exploding clowns through the front door and windows of the jazz club – one of the most expensive stunts in the movie. “The Bunker Mentality: Designing the Set” lets production designer Chris August, along with Pesce and Carnahan, talk about the open design they used to give them freedom to shoot nearly everywhere and the Art Deco look and feel used throughout. Also included was feature commentary from Pesce and Carnahan. Smokin’ Aces 2: Assassin’s Ball was a solid spy thriller with some serious carnage. Definitely a much better film than the original! Be sure to check it out when it’s released from Universal Studios on DVD January 19th, 2010.
p.s. Pick up this movie and others from Amazon! Friday Knight News – Gaming Edition: 23-MAR-2012 | Gamerati on My Favorite Movies: Great Swordfights!